MET recently launched a unique Golf induction program for all the students of the MET League of Colleges. This programme ‘MET Golf’ commenced from the first week of February 2010. 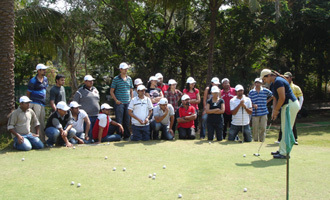 The students are being trained by internationally well-known Golf players and coaches from Sanam Merchant Golf Academy. ‘MET Golf’ initiates the students to the game of golf.